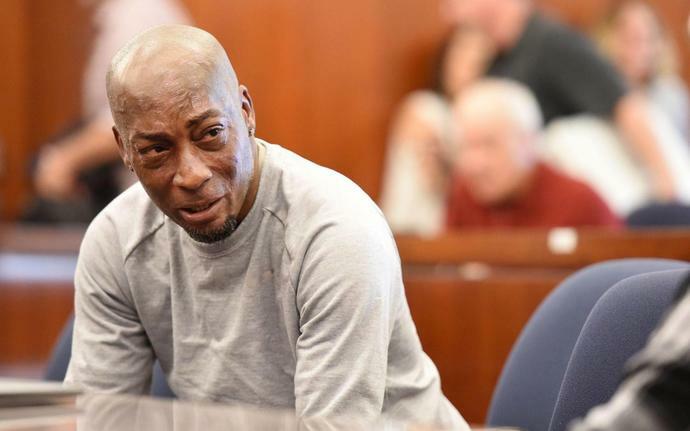 A jury has ordered the chemical giant Monsanto to pay a terminally ill school groundskeeper $289 million (£226 million) in damages in the first trial over claims that its Roundup weedkiller causes cancer. Lee Johnson, whose doctors didn't think he'd live long enough to learn the verdict, prevailed Friday in San Francisco state court after jurors deliberated for three days. The trial was an important test of the evidence against Monsanto and will serve as a template for litigating thousands of other claims over the herbicide. The company immediately said it would appeal against the decision and tried to reassure consumers - including those using Roundup in Britain - that its weedkiller was safe. Mr Johnson was seeking $412 million in damages. Jurors awarded him $39 million for his losses and $250 million to punish the company after finding it liable for a design defect and failing to warn of Roundup's risks. Monsanto said it will appeal. Monsanto vice president Scott Partridge told the Press Association: "Roundup has been safe for four decades and will continue to be safe. There is no credible scientific evidence that demonstrates otherwise. "It is completely and totally safe and the public should not be concerned about this verdict... We will work through the legal process to see if we can get the right result. The science is crystal clear." Germany's Bayer AG closed a deal to buy Monsanto for $66 billion in June. Since Roundup is ubiquitous in modern farming, there's a "huge potential liability," though it's very uncertain it will materialise, he said. Bayer investors might not be aware of the risks because many analysts covering the company focus on pharmaceuticals, Mr Perrella said. Glyphosate, the main ingredient in Roundup, was first approved for use in Monsanto's weedkiller in 1974. While becoming the world's most popular and widely used herbicide, the question of whether it causes cancer has been hotly debated by environmentalists, regulators, researchers and lawyers - even as Monsanto has insisted for decades that it's perfectly safe. Mr Johnson's lawyers, relying on his testimony and expert witnesses, argued that his exposure, including accidents that got him soaked from head to toe in Roundup, caused his non-Hodgkin's lymphoma. Monsanto scientists knew of the cancer risk posed by Roundup as far back as the 1970s, but failed to inform the public and instead engaged in a "deliberate effort to distort the truth" as the weedkiller generated hefty returns, Mr Johnson's lawyer, Brent Wisner, told the jury in closing arguments on Tuesday. "Monsanto made a choice to not put a cancer warning on the label," Mr Wisner said. "That is a choice that shows their reckless disregard for human health, and today is their day of reckoning." Monsanto argued that the type of cancer contracted by Mr Johnson takes many years to form. The short period between his first exposure in 2012 and his diagnosis in 2014 made any connection between his contact and the disease impossible, according to the company. Monsanto lawyer George Lombardi insisted that science had found no connection between Roundup and non-Hodgkin lymphoma. He noted that the US Environmental Protection Agency continued to assert - after repeated assessments - that Roundup was safe. In fact, Mr Lombardi told the jury, no one had yet figured out what causes the disease. "We don't know why people get mycosis fungoides," he said, using the name of the specific form of cancer Mr Johnson has. "It would be nice if we could tell people why they get it, but we can't."